A proud Wisconsin native, Dr. Michael E. Flynn grew up in Milwaukee and attended the University of Wisconsin – Milwaukee. After receiving his dental degree from the Marquette University School of Dentistry, he served as a resident at the University of Maryland general residency program in affiliation with the Baltimore College of Dental Surgery. After completing his training, Dr. Flynn returned to Wisconsin, where he has been proudly serving patients in the West Allis area since 1988. 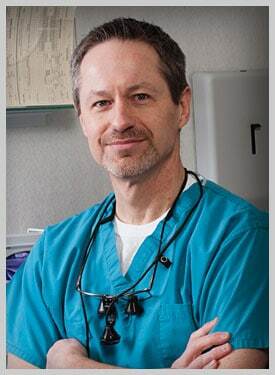 Dr. Flynn is passionate about providing high-quality cosmetic, restorative, and implant dentistry to enhance your smile and dental functionality. He believes that doctor-patient trust is of fundamental importance, and he will take the time to get to know you personally. Thanks to his friendly service and rapport, his loyal patients come from throughout the greater West Allis community, including Wauwatosa, Brookfield, and the Western Milwaukee suburbs. Dr. Flynn and his wife have proudly raised four grown sons. An avid sports fan, Dr. Flynn plays basketball and coaches both basketball and baseball. In his free time, he loves to read, and he regularly volunteers at the St. Elizabeth Ann Seton Dental Clinic. To meet with Dr. Michael Flynn in person, schedule a free “get acquainted” appointment by filling out our online form, or by calling our office in West Allis, WI, at 414-541-8250. We proudly serve the residents of West Allis, Brookfield, Wauwatosa, and all Western Milwaukee communities.